From vitamins A and D to omegas+ and antioxidants, Jane Iredale’s skin supplements are a breakthrough in the inside-out treatment of skin cell health. 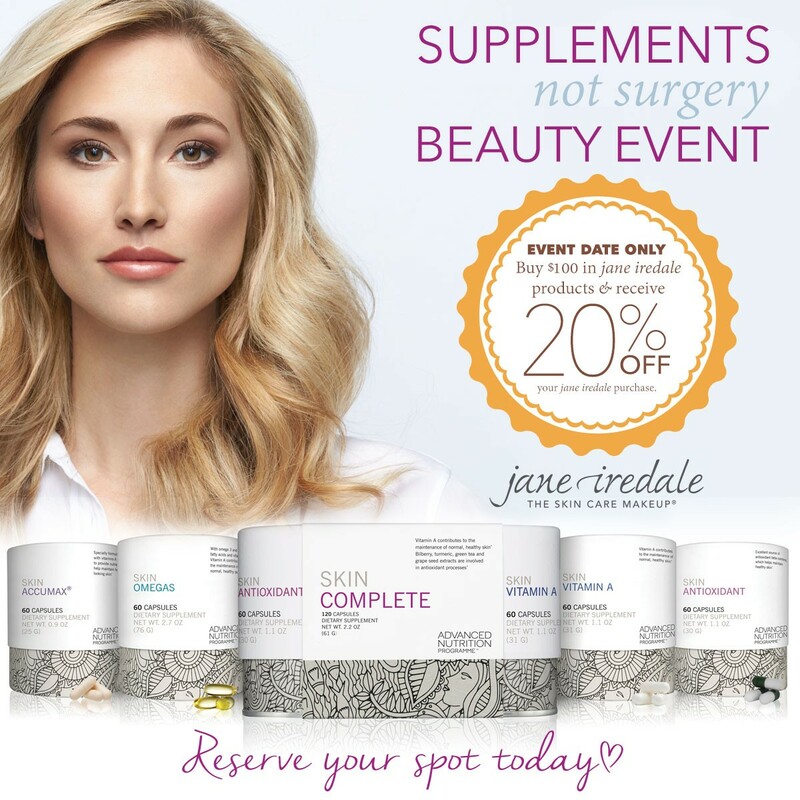 Join us at Soft Surroundings on February 17, 2018 and learn how these supplements feed and fortify your complexion while they fight the signs of premature aging*. Also, enjoy a makeover by our beauty experts and experience the naturally beautiful way Jane Iredale mineral cosmetics finish your look.